‘Noa Noa!’ is a Virtual Virtual Pet Simulator from Noodlecake and Wilder Games, Launching February 14th. Virtual pets were all the rage in the ’90s, and it seemed like everyone had a little keychain-sized “pet” they’d carry around in their pockets and virtually care for. So it was no surprise when smartphones became all the rage around ten years ago and we all carried one of THOSE around in our pockets that virtual pets would find their way onto them in a modern fashion. Here, you will find, hatch, and raise Noas, which are rare digital creatures with quirky personalities and mysterious abilities! Explore many different locations, find lots of Noa eggs to hatch new and unique noas, and care for some of the cutest creatures you’ll ever meet. 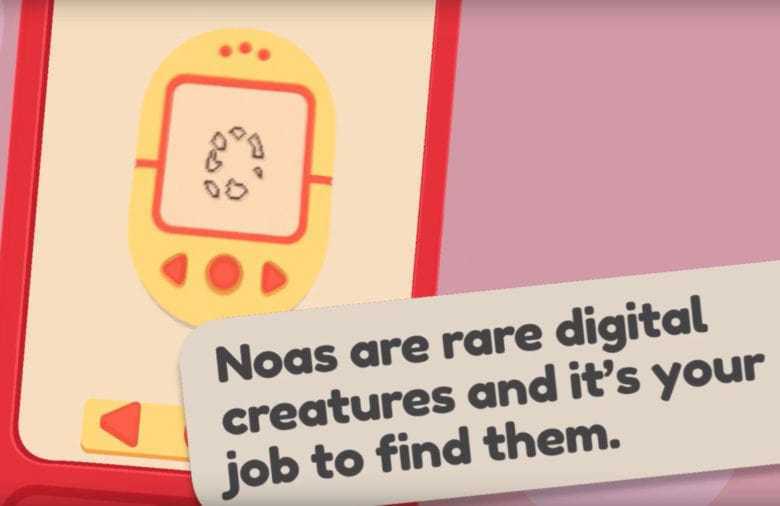 – Noa Noa is a virtual pet collector where you can raise, interact with, and play with more than 30 cute and bubbly digital creatures. – Find and collect more than 15 unique eggs to hatch even more unique Noas. – Unlock and explore different environments. – Customize your own personal avatar. – Take pictures of your Noas to share with friends. – Choose from hundreds of different digital devices for your Noa. Noa Noa! allows you to create a human avatar in the game, and then use them to find and raise virtual pets. It’s a, frankly, bonkers concept, but it just might be bonkers enough to work. Check out the trailer. OS Requires iOS 8.0 or later. Compatible with iPhone, iPad, and iPod touch. Copyright © 2014 - 2019 SocksCap64, All Rights Reserved. Logos, Trademarks, Pictures Belongs To Their Respected Owners. Powered By WordPress. 94 Queries in 0.532 seconds.